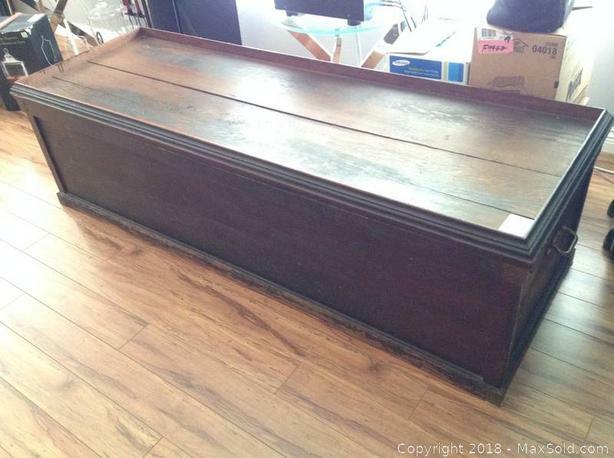 Wood Captain's Storage Bench, 74X26X21.5, with lid. Brass accents and side handles. Includes glass top being sold by unreserved MaxSold Auction.